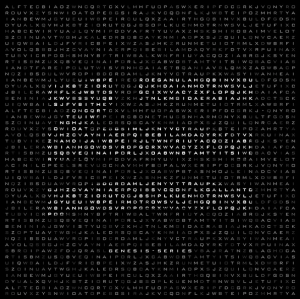 • New music has arrived from enigmatic US producer Zhu. 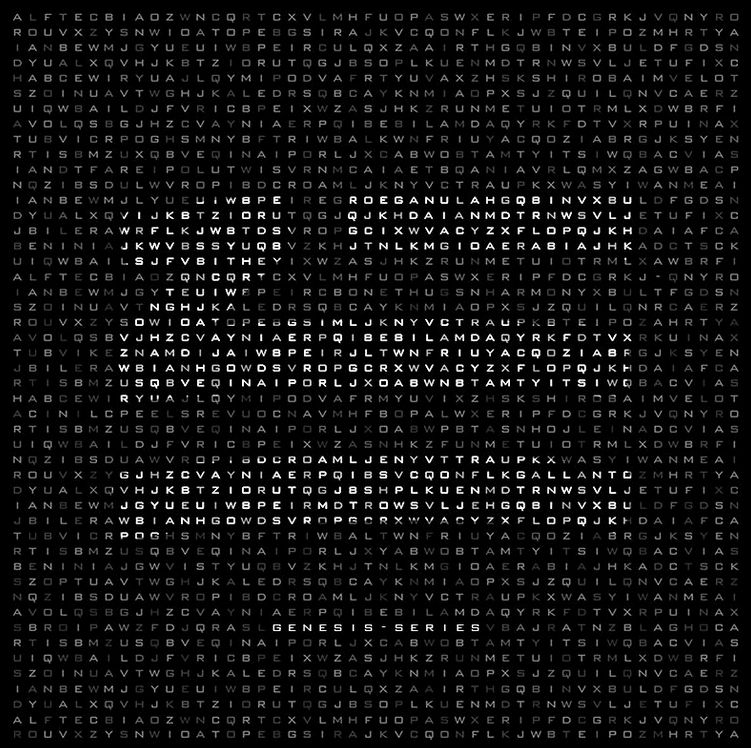 Premiered at BBC Radio 1’s ‘Hottest Record In The World’, ‘Automatic’ features the guest vocals of AlunaGeorge and is the first fruit from the producer’s ‘Genesis Series’, which is set to feature collaborations with Skrillex, A-Trak and more. ‘Automatic’ is available digitally now. • Aussie favourite Sarah Blasko will release her new album ‘Eternal Return’ in November. 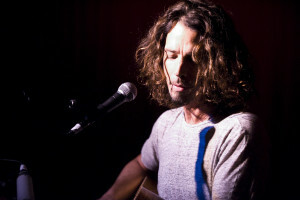 The singer’s fifth studio record, it follows on from 2012’s ‘I Awake’ and has been preceded by the release of two grat tracks, ‘I’d Be Lost’ and ‘Only One’. Look for the album at your favourite retailer on Friday November 06. • Ahead of the release of her new album ‘Revival’ on October 09, Universal Music Australia has serviced the new Selena Gomez single ‘Same Old Love’ to Australian media. The Stargate/Benny Blanco-produced track follows on from Selena’s smash ‘Good For You’, which achieved platinum sales here and peaked at No.10 on the ARIA singles chart. 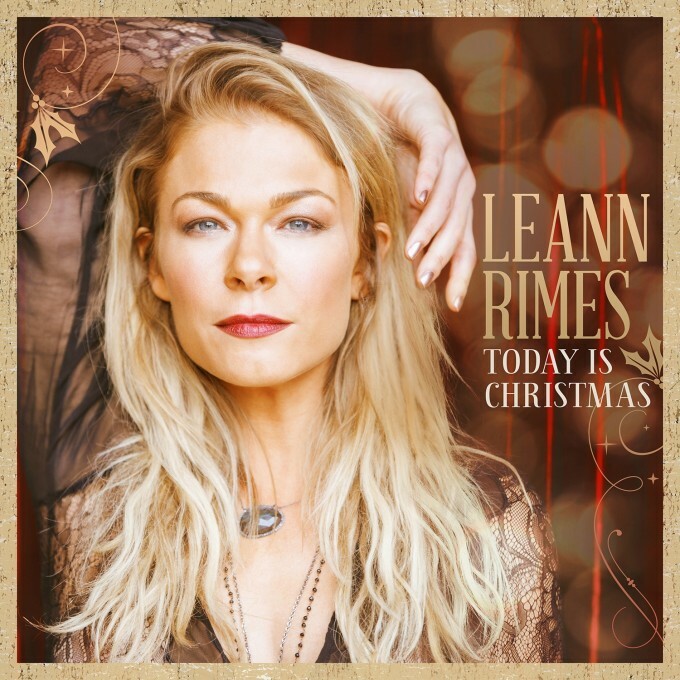 • LeAnn Rimes will release her second collection of festive favourites, ‘Today Is Christmas’, in the middle of October. Though there are a few familiar titles among its tracks (‘Little Drummer Boy’, ‘Frosty The Snowman’, ‘Auld Lang Syne’ etc), there are some original gems to be found, including the grat track ‘Celebrate Me Home’, which features a guest vocal from country star Gavin DeGraw. ‘Today Is Christmas’ will be released on Friday October 16. • Reece Mastin is looking to his Lil’ Rockers for help in choosing the lead single from his forthcoming album ‘Change Colours’ and he’s turning to social media to do so. In a world-first campaign with Twitter, he’ll premiere every track from the album on the social medium, then hand over the power of choosing the lead single to his fans. “I’m really excited to be working with Twitter on a campaign that’s a world first for them and me,” Reece says. “Giving the fans the power to pick the single and get more involved in the process makes the record even more personal for them and for me. With such a wide range of music lovers on one platform, I can’t wait to see what’s going to happen.” The song with the most retweets will become the lead single and the winning song will be announced on the Kyle & Jackie O show on Friday October 02. Reece’s new album ‘Change Colours’ is out on October 09. • It’s always a tough decision for a record company. When do you move on from a song that’s been a chart monster around the world – especially when that song (‘Fight Song’) is still in the top 40 after almost six months on the chart? 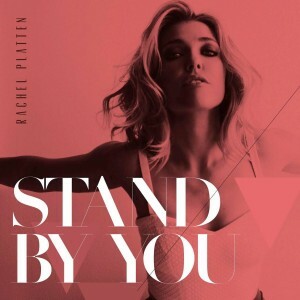 But Sony Music has bitten the bullet and have set the wheels in motion on the new Rachel Platten single ‘Stand By You’. A love song at its core, Rachel says the single is a “stomp-your-feet, throw-your-hands-up, all-out celebration of love”. It’s out now. • Sister Martha and Lucy Wainwright have teamed up for a new album release entitled ‘Songs In The Dark’. To be released on November 13, the new LP is a collection of lullabies, some penned by their parents, as well as song that shaped their respective childhoods. • Aussie outfit Custard have confirmed they’ll release their first album in 16 years in November. ‘Loverama’ was the band’s last album way back in 1999, but the original lineup is back together again, they’ve recorded eleven new songs and they’ve called the project, ‘Come Back, All Is Forgiven’. It’s out on November 06. • Due to overwhelming demand, Chris Cornell has confirmed a third and final show at the Sydney Opera House on Sunday December 13 as part of his forthcoming solo acoustic tour. He’s also set to head to Canberra’s Llewellyn Hall for a one-off show on Thursday December 03. 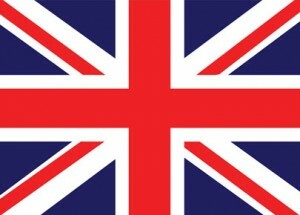 Tickets for both shows are on sale from 10am on Friday September 25. • Chris Brown has confirmed an Australian tour. The R&B singer will touch down in December this year for arena dates in Sydney (Allphones Arena on December 14), Melbourne (Rod Laver Arena on December 12), Brisbane (Entertainment Centre on December 16) and Perth (Perth Arena on December 09). Tickets for all are on sale at midday on Monday September 28. His new single ‘Zero’ was released to Aussie media yesterday. • James Reyne’s national tour with Moving Pictures has grown again. Already featuring a bucketload of dates stretching from late October through to late February, shows in Brisbane and Adelaide have now been added to proceedings, along with a third Melbourne show at The Palms At Crown. They’ll play The Gov in Adelaide on January 08 and 09, the Alexandria Hills Hotel in Brisbane on February 26 and Eatons Hill Hotel on February 27. 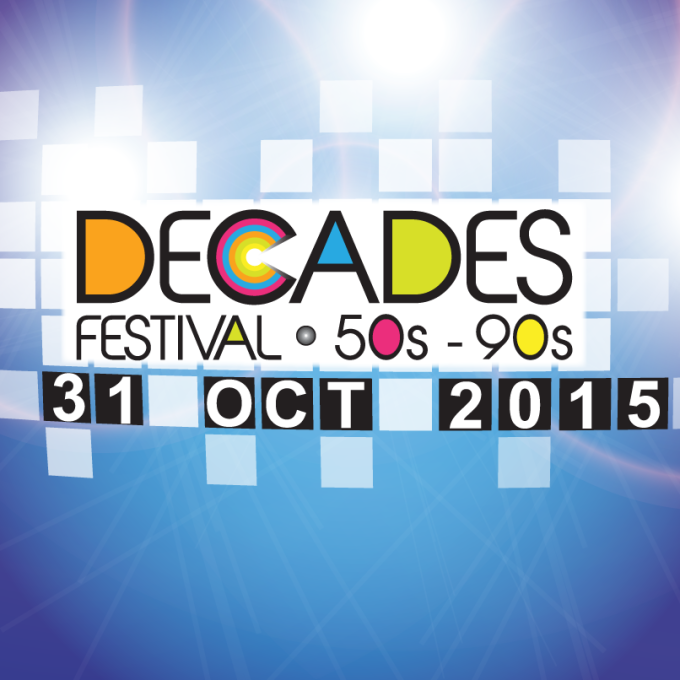 • In festival news, the Decades Festival is ready to rock the Pine Rivers Park in Strathpine, Queensland on Saturday October 31. And the Moreton Bay Regional Council have confirmed the all-important cavalcade of talent set to provide the day’s entertainment. Cold Chisel will perform a full two hour set, Björn Again will no doubt cater for all the dancing queens. The Living End, Suze DeMarchi and Something For Kate will also help keep the festivities go long into the night. Head to www.decadesfestival.com.au for more information. • Organisers of Vanfest, set to hit Forbes on December 05, have added two new performers to the already impressive bill. Headlining this year are John Butler Trio and Birds Of Tokyo, but also already confirmed are the likes of Sheppard, Illy, Sticky Fingers and Twin Fires. Now you can also add international stars Rudimental and our very own Peking Duk to the roster of talent for the Friday night prior (December 04), making the New South Wales regional centre a must-do destination that weekend. • Sigala’s stay in the No.1 spot was ever so brief in the UK, allowing Justin Bieber’s former number one hit ‘What Do You Mean?’ to retake pole position this week. In fact, the UK top ten is relatively settled this week, with no debuts and four of the positions remaining unchanged; the week’s highest entry coming all the way down at No.18 (Stormzy’s ‘Wickedskengman 4′). • But while the top ten on the UK singles chart was relatively uneventful this week, the same can’t be said for the albums chart, with four new entries in the top five alone. The best of the best, however, is Stereophonics’ new album ‘Keep The Village Alive’, which debuts in the No.1 position ahead of Bring Me The Horizon’s ‘That’s The Spirit’ (new at No.2), Libertines’ ‘Anthems For Doomed Youth’ (new at No.3) and Jess Glynne’s ‘I Cry When I Laugh’ (No.2 to No.4). Duran Duran’s newbie ‘Paper Gods’ premieres at No.5, while Iron Maiden’s ‘The Book Of Souls’ drops from No.1 to No.6. Speaking of drops, however, how about the one from our own Troye Sivan? The Aussie star was flying high in the No.5 position on debut last week with his ‘Wild’ EP, but this week he’s plunged all the way down to No.51. Ouch. • Justin Bieber was flying high in the No.1 spot on the Billboard 100 Singles chart last week with his new smash ‘What Do You Mean?’, but it would appear that its time in the chart sunshine – Stateside at least – was fleeting, relinquishing pole position and allowing The Weeknd’s ‘Can’t Feel My Face’ to once again claim the throne. The Weeknd gets a doubly delicious surprise, with his other single ‘The Hills’ shifting from No.3 to No.2, leaving the Bieb at No.3. The rest of the US top ten is totally stationary, except for Ed Sheeran’s ‘Photograph’, which snaps into position ten, up from No.12. • And if the No.1 and No.2 singles in the country weren’t enough for The Weeknd to be popping the champagne corks this week, news that his new album ‘Beauty Behind The Madness’ has maintained its No.1 position on the Billboard 200 Albums chart for the second successive week certainly ought to, especially when the rest of the top five is made up of new entries. Five Finger Death Punch is new at No.2 with ‘Got Your Six’, Travis Scott’s ‘Rodeo’ is new at No.3, Iron Maiden’s ‘The Book Of Souls’ premieres at No.4 and our own Troye Sivan has popped into the No.5 position with his ‘Wild’ EP. Albums from Scarface and The Wonder Years just miss a top ten berth, premiering at Nos.11 and 12 respectively.